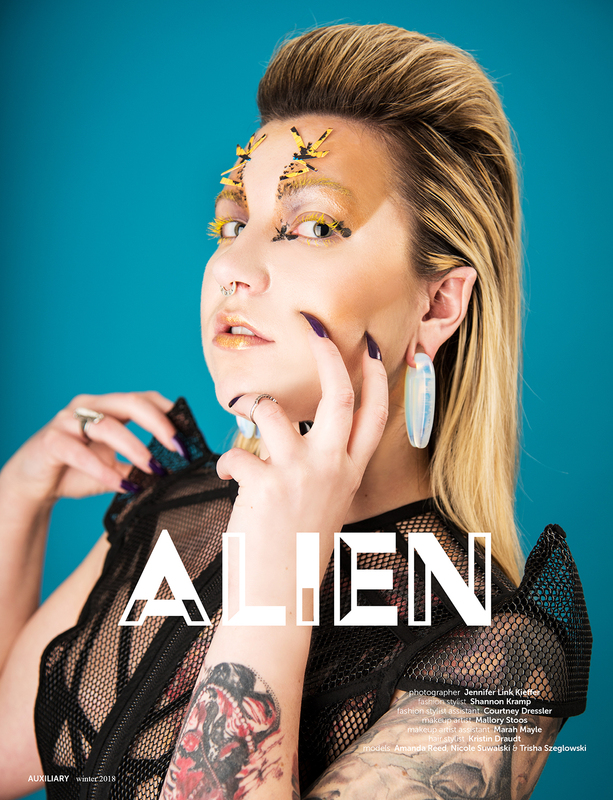 My latest editorial was recently published in the Winter 2018 Issue of Auxiliary Magazine! I love how the styling of this beauty editorial by Shannon Kramp came together, it plays with what you expect to see in a beauty editorial. 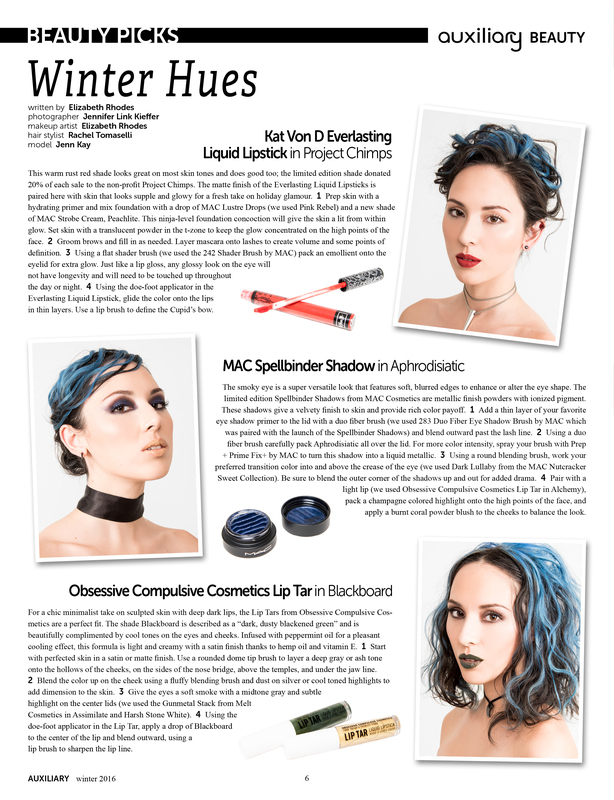 For the Spring 2016 Issue of Auxiliary Magazine I shot this beauty editorial with Shannon Kramp and an amazing team! 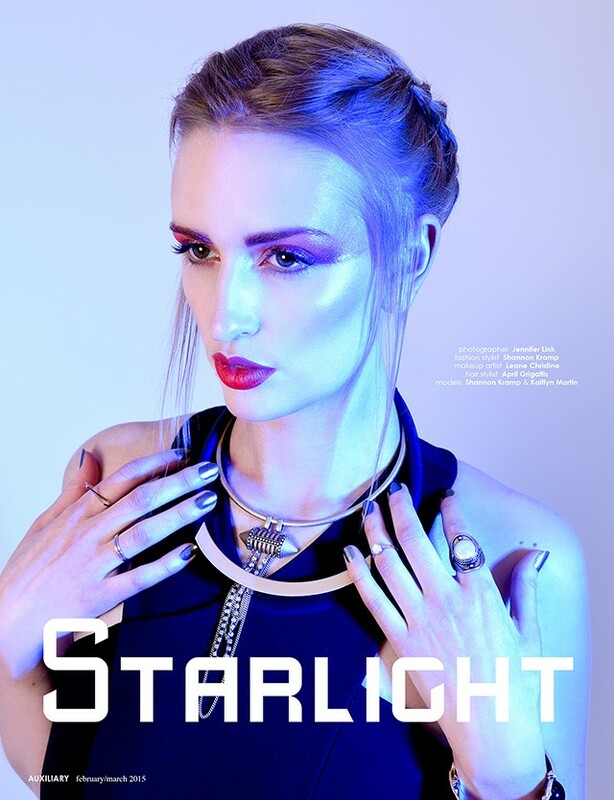 We wanted the focus to me on the makeup, the hairpieces by Apatico, and the jewelry by Arthlin. One of favorite things about this shoot is the rich color palette that developed. Last winter I shot this beauty editorial for the February/March 2015 Issue of Auxiliary Magazine. Even with a ton of planning, things go array at photoshoots. The key is knowing how to adopt when things don’t go as planned. The morning of this shoot one of our models had a health emergency and called to let me know they wouldn’t be able to make the shoot. A few phones calls were placed, a few emails sent, and then the clear solution presented itself, our fashion stylist was also a fabulous model! 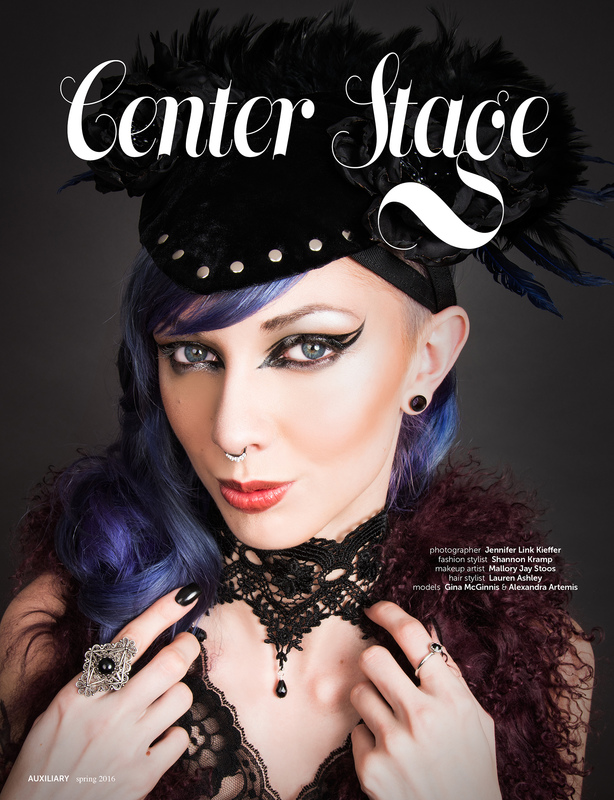 We reworked the concept and plans a bit and fashion stylist Shannon Kramp modeled half the looks for this editorial. This photo is the lead in shot from the editorial and one of my favorites. I used color gels to create an otherworldly feel. This is also the first editorial I shot with my new camera!